If you have already registered to TOGlic: please, use the same log-in name and password to sign in the add-in TOGlic | CROSSWORD for Office 365. All your activities will be concentrated to one account. New users have to registrate before using the add-in. It's much comfortable to register via your Office 365 account. 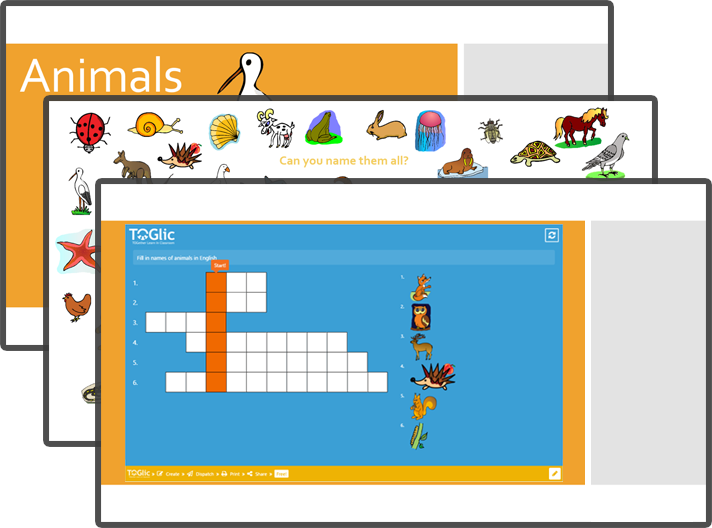 The same log-in you will use to sign in TOGlic.com where you can find more interesting learning activities. Preparation is very simple, intuitive and fast. You can also watch the whole process on a video. At the end save your presentation. 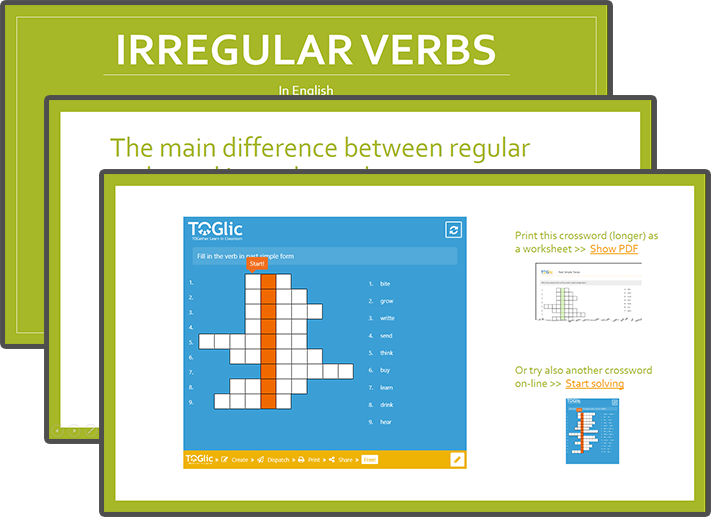 Share the created presentation (PPTX or PPSX) with your pupils or colleagues - added crossword puzzle will be displayed in presentation mode. In presentation mode, pupils/students will see the crossword puzzle with blank fields ready to fill and the clues. Crossword is interactive - correct answer is marked with green and wrong answer with red colour. Thanks this feedback you can provide the presentation to pupils to their domestic repetition and practice of curriculum. You have to be sign in to join!